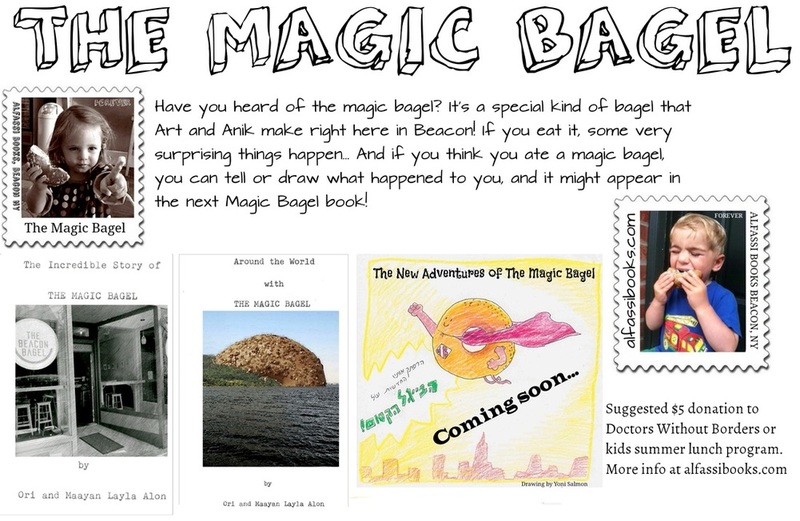 The Magic Bagel is an interactive children's story that takes place in Beacon, NY. Children and adults are welcome to share their what happened to them when they ate a magic bagel and the sequences are based on your stories. The Magic Bagel is also based on the gift economy model, the books are offered for a suggested $5 donation to Doctors Without Borders (raised $500, see letter in images), our local kids summer lunch program ($150) and the third book will be for Moms Demand Action to prevent gun violence. You can read the ebooks or order the booklets here. I'd like to get The Magic Bagel!! Center for Supportive Bureaucracy - Empowering Clerks Network issuing official documents since 2006. Joy Permits, Forgiver's License (Class A & B), Refurbished Report Cards, OK Parent Awards, DIY Certificates of Recognition, Loving & Liable Entity (LLE) certification, Apology Declarations, Learner's Permits, Open Carry permit for musical instruments, Validation Tickets, True Friend Diploma, Aunt & Uncle Adoption certificates, Pain Deeds, Clown Visa, Free-Play Admission Tickets, custom made official documents for specific needs, documents issuing events.